I hope you are all doing well and the New Year is treating you right! As some of you know I’ve decided to back away from much of “Adoption Land” and the “Adoptee Arena”. If you didn’t know I’m sorry. I’m not disappearing but I have found I have pull back on some areas of my life for my own sanity as I know many of my fellow adoptees can relate to making this move. From what I thought might be a temporary break has seemed to turn into more of a long term event. In 2012 I created the “How Does It Feel To Be Adopted? community on Facebook. In 4 years it’s grown to over 4000 “likes” and thousands of active adoptees. This page has reached adoptees all over the world. It’s been my honor to have been in touch with so many of you over the years, to build relationships with so many of you and to be a hopefully positive person for support. Not long after Ask An Adoptee was created in a little over a year it has over 800 “Likes”. If you would like to know details about these pages please visit the “About” section of both. I had no idea how big both of these pages would get, but I knew they were helping people, specifically my fellow adoptees. They were created for you all, yet impacting the entire adoptee arena. Finally a safe space for us to share our feelings, where no one else from the adoption equation could tell us how to feel. Over the last 4 years I’ve rode through the highs and lows of life, navigating through the valleys all while managing these pages on my own. 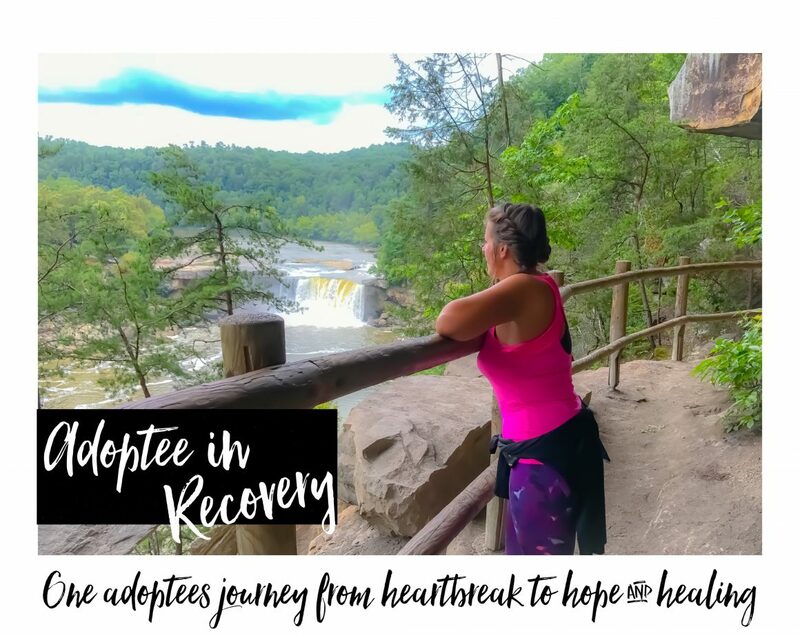 I loved being able to come up with such a healing place for my fellow adoptees. I’ve grown in so many ways just by being able to read so many similarities and bond with so many fellow adoptees near and far. I have thoroughly enjoyed so much of this. For some time now I’ve struggled with healing in my own journey with so much of my life spread out all over the place. It was clear to me that I was doing to much. As I’ve posted before Facebook has become a huge non-stop trigger to me and has for quiet some time. As an adopted person who had to move across the country just to provide my children with some normalcy, away from all “family” it’s sombering. It’s hard to see everyone post about holidays, mother’s day, father’s day, family reunions, etc. It adds salt to the very real wounds that are still present today. I’ve found Facebook to be a breeding place for fake relationships. I’m not saying I don’t have relationships with many of you. I’m saying I want real true genuine relationships in my life. Not those who think they know me, but have no idea what’s really going on in my life because they base knowing me by what I post on Facebook. I’ve just grown to dislike it in every way. I deactivated my page a few months ago and I feel a HUGE weight lifted. We are all in control of our own lives. If something or someone isn’t serving is properly we must make changes to make things better. In recovery I’ve learned to avoid triggers. Being adopted, triggers are everywhere every day. Navigating what to “Let go of” vs. “What to work through” has been challenging at times. I know my fellow adoptees understand much of this. I want to pick back up writing my memoir “Adoptee in Recovery- One Adoptees Journey from Heartbreak to Hope & Healing”. I have a story to tell and I want to share it with you all. This memoir will take readers on a journey of hope & healing, and focus on other areas of my life. I will still be managing the How Does It Feel To Be Adopted Website where adoptees will be sharing their stories with the world. I will still be blogging here on my page. I still have twitter although I have a new name. Feel free to follow me! @therealpwishes I’m not totally dropping of the radar! Promise! If you haven’t shared your story yet, please visit the page! You deserve to be heard! A few months ago I feel God has put it on my heart to release my Facebook like pages to someone else, and my time was up in managing them. I gave it 4 years, which is a long time. I have felt sad about it because I feel like I’m letting so many adoptees down. I feel guilty for this. It’s either feeling guilty of letting my fellow adoptees down or the burden of carrying something God has clearly told me to let go of. The voice of God is something I have to put ahead of all things, even my own feelings, needs and wants. My heart was set on finding someone to manage them, who had a heart like me but the question was: WHO WOULD WANT THIS TASK? I began to pray about it. Well God seems to always have a plan! The key is to TRUST HIM to reveal and see us through. As I prayerfully awaited for God to move with this situation my fellow adoptee and sister in Christ Haley Radke reached out to me as she often does, to check in. She’s one of my favorite people on the earth! Over time we’ve built a special friendship and can relate to each other on so many levels. I would have never dreamed of asking her because she has her hands beyond full with her podcast AdopteesOn. My hope was to touch base with her and see if she had any ideas for me of who would be a good candidate to ask about taking over the pages. After spending a little time talking to Haley I am here to announce to you today she has the willingness to manage the pages and take them over from here forward! Can you say EXCITING??? What a blessing for this! I never would have thought she would be interested due to her previous commitments, not to mention she’s a mommy and a wife, and has a busy life of her own. I wanted to share this with the page readers so they are aware of the change, and aware that the pages are in the amazing hands of my friend, sister in Christ, & fellow adoptee- HALEY RADKE!!! Haley, the adoptee community welcome’s you and we are honored to transfer these pages to such a sweet, amazing, warm and caring person such as yourself. THANK YOU for having the willingness to fit this task in your busy life to keep the legacy of the pages going for your fellow adoptees. Healing is so important and I can’t wait to see what God is going to do through you while you use Him to manage these pages! You are AMAZING! What an absolute honour to keep your Facebook legacy going! All the hours and hours and hours you’ve spent cultivating this community is evident. I am indeed blessed. XOXO Love you too my friend! Pamela, I have only recently joined your FB page and have learned so much from it. You are a remarkable person and I appreciate you sharing your story as it has helped me with my relationship to being adopted. Wishing you many blessings! I’m so glad you found the page and you have learned from it. That was the plan years ago and hearing stories of how the page has helped others has and always will be an honor. It’s Vikki- just wanted to write and thank you again for all that you have done and continue to do for the adoption community. Always trust your instinct on these decisions, as they often unfold to have been the right ones and hopefully this will bring many new blessings into your life which you wholeheartedly deserve. Never feel guilty for doing what you know to be right. You are a blessing to the world and are held in the hearts of hundreds of fellow adoptees, because you are right- only we know how it truly feels and you opened up that arena for us to express that for which I, and many others, are extremely grateful. I’m sending you so much love and the biggest of hugs from Engand, and wishing you all the best for your memoir! How exciting, I cannot wait to read it. Hi pretty lady! So so so glad you receive your message! You were one of the first adoptees I made friends with and have cherished it many moons later! Your words are so kind and I appreciate them so much. I’m so glad you have been able to benefit from the page, and because of Haley’s willingness you will have that continued blessing. Thank you Pam, that feels like so long ago now! Cannot wait to see how your journey will continue. Pamela, I so admire you for what you have done on behalf of adoptees everywhere. Most importantly, that you are taking care of yourself now as a child of God and listening for ‘next steps’ on your spiritual journey toward grace. Bless You! Hi Bev, Thank you so much! I appreciate your kind words and blessing. Means more than you know. I’m excited to see what God is going to do next. It’s amazing at the gift of being able to listen for His guidance and move forward on my spiritual journey. I remember when I couldn’t hear His voice. Oh what a gift it is! I stepped away from Facebook almost a year ago but all of you wonderful amazing people are making me reconsider!